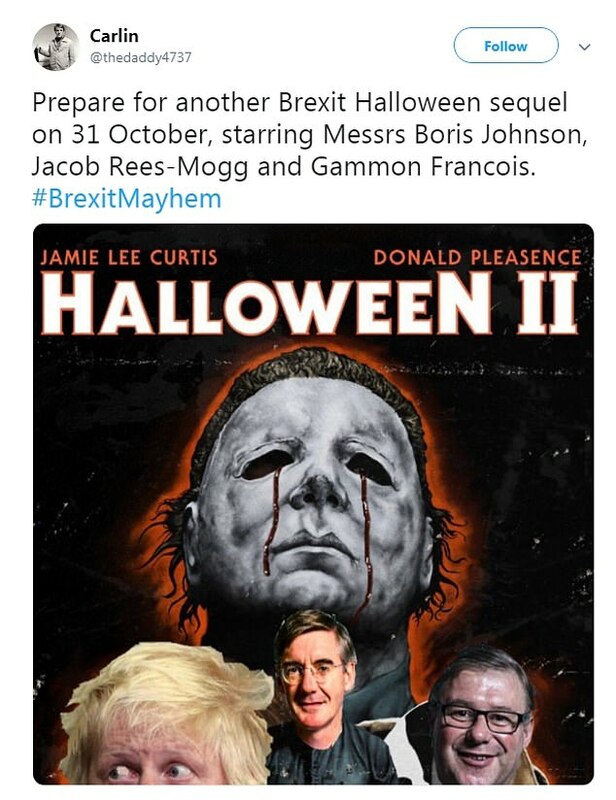 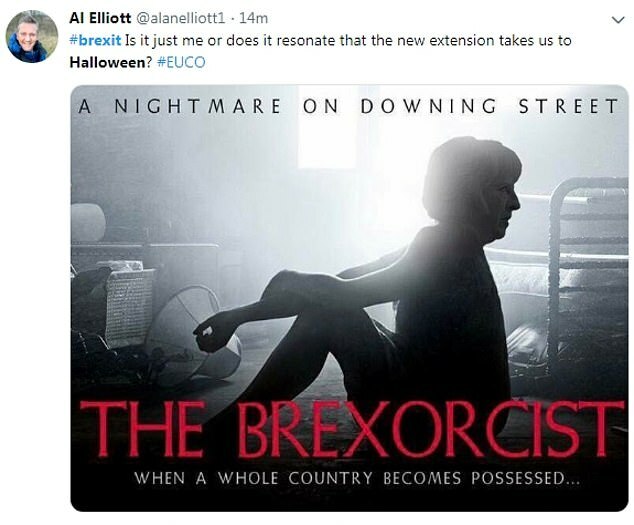 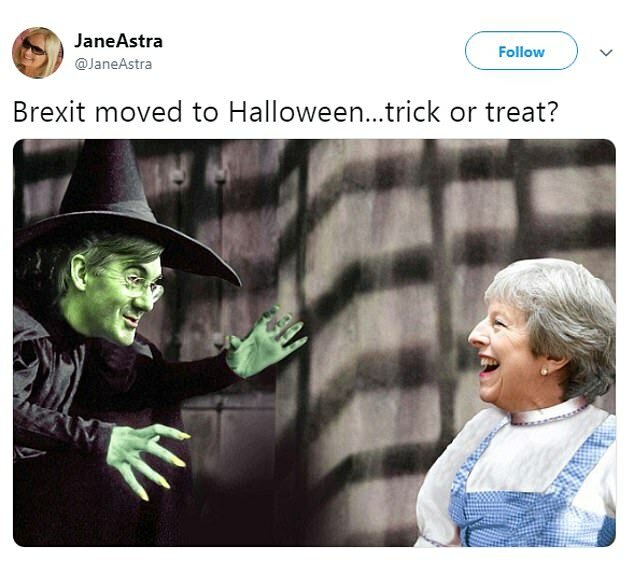 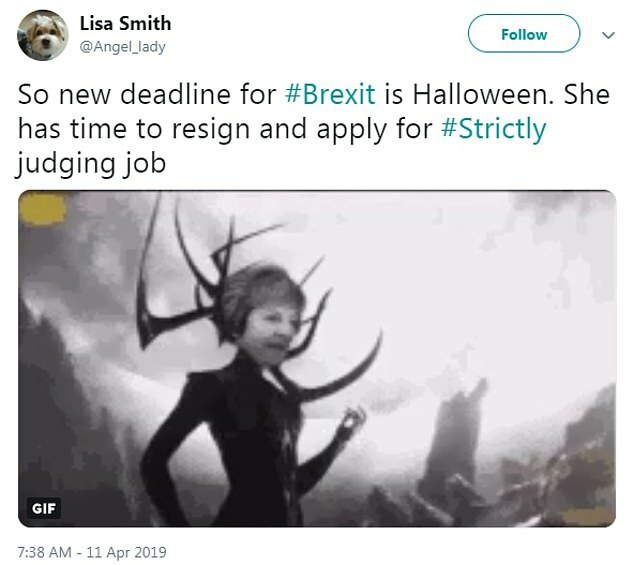 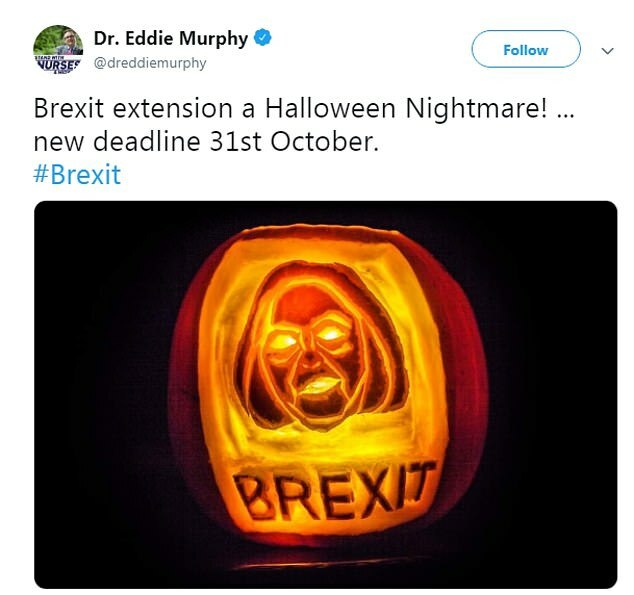 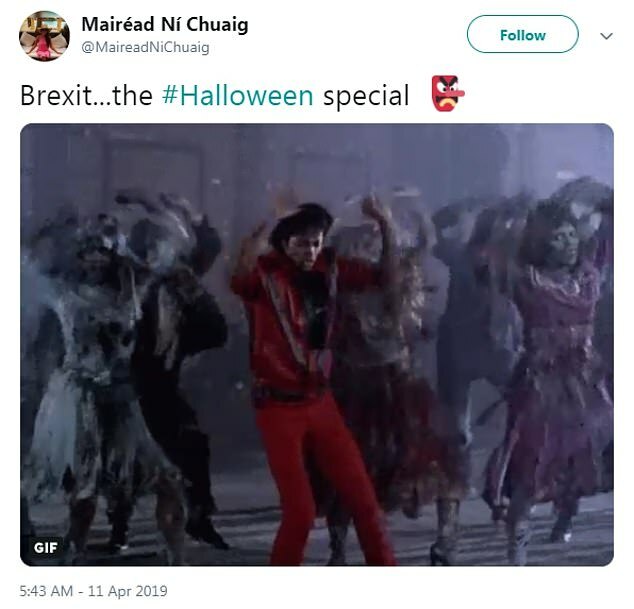 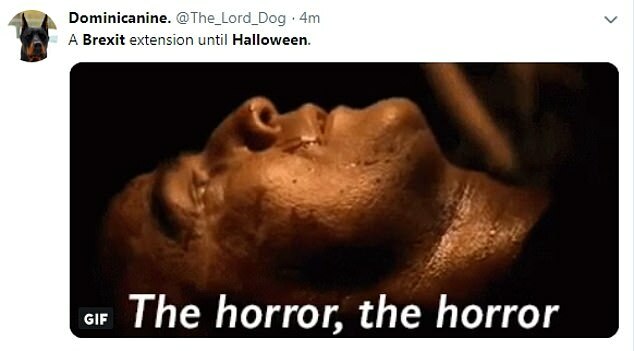 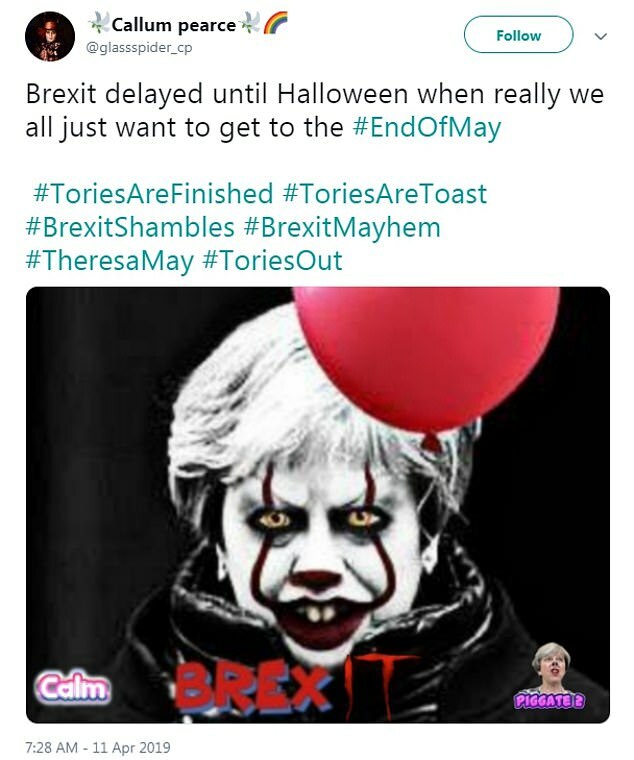 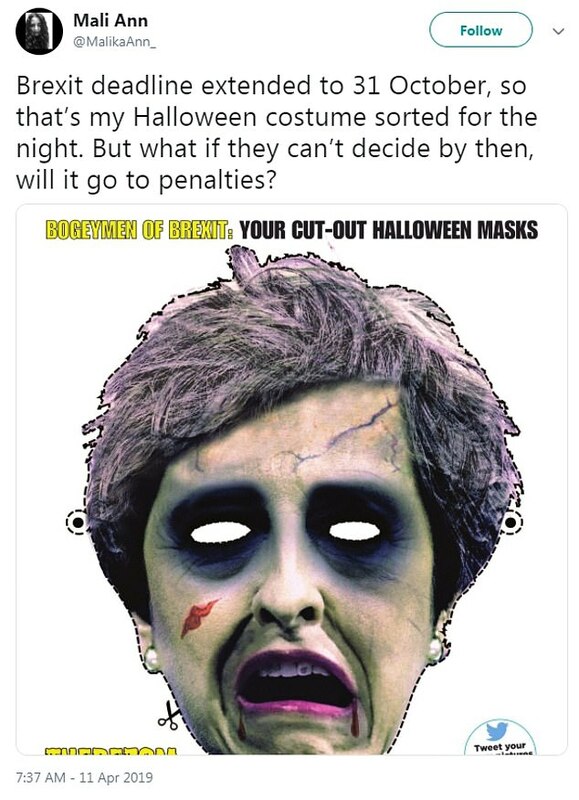 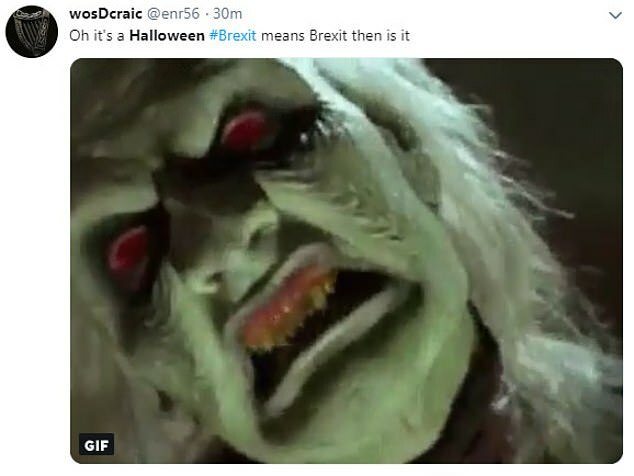 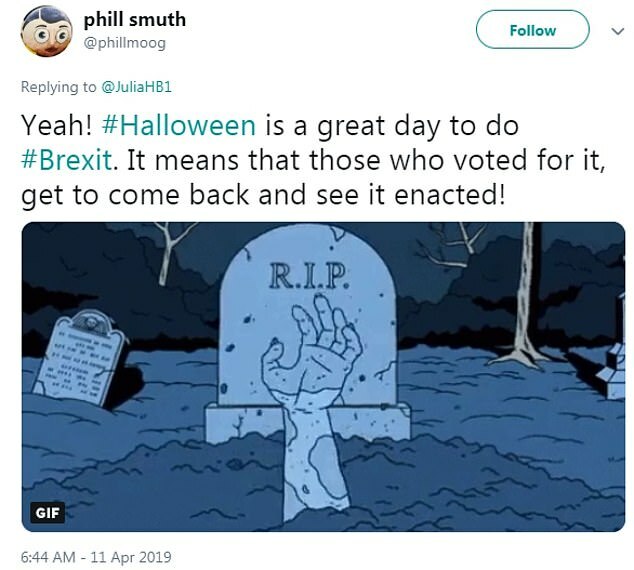 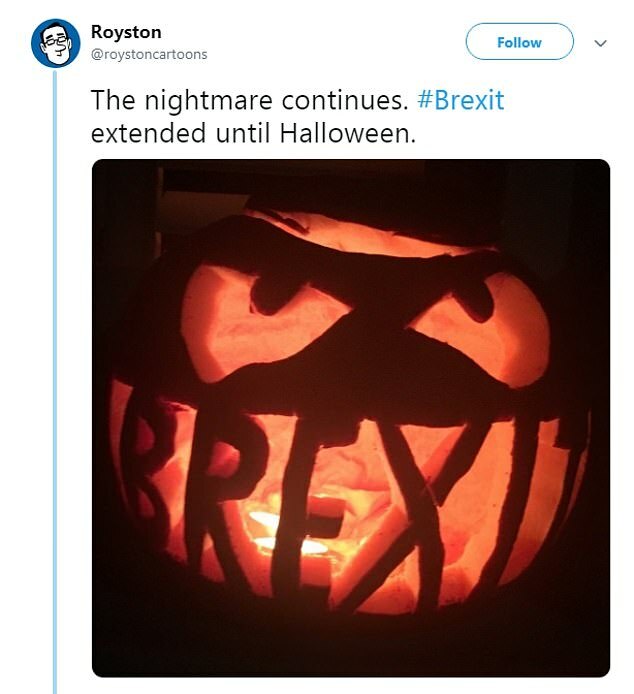 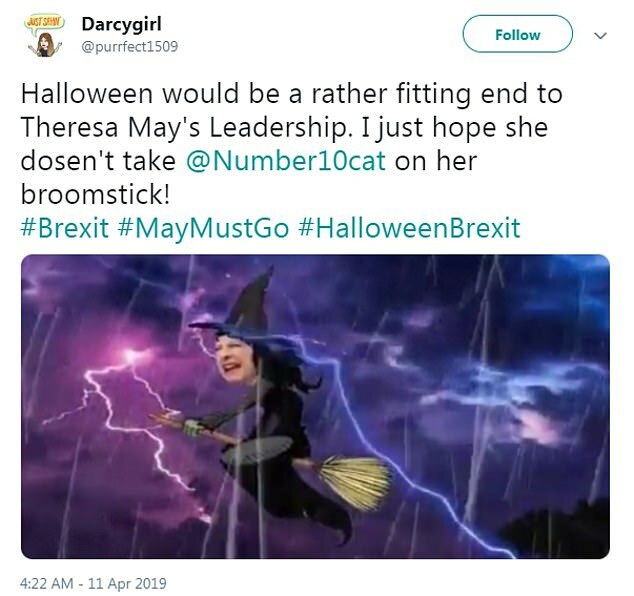 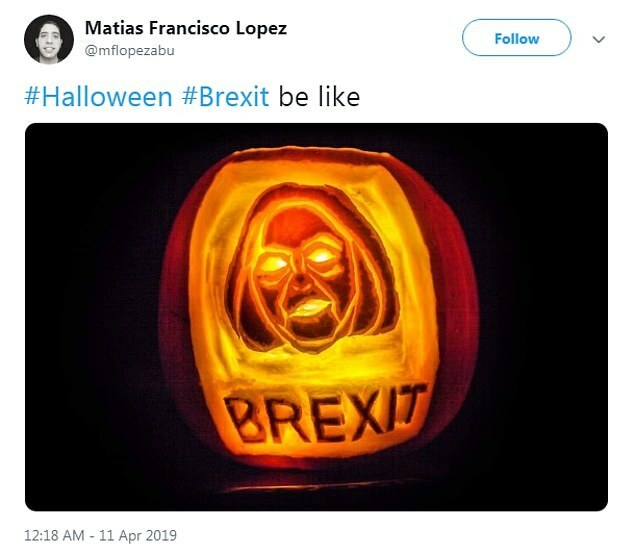 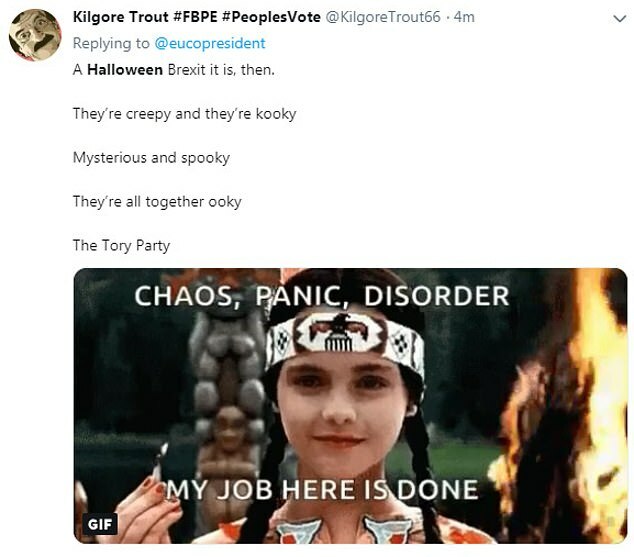 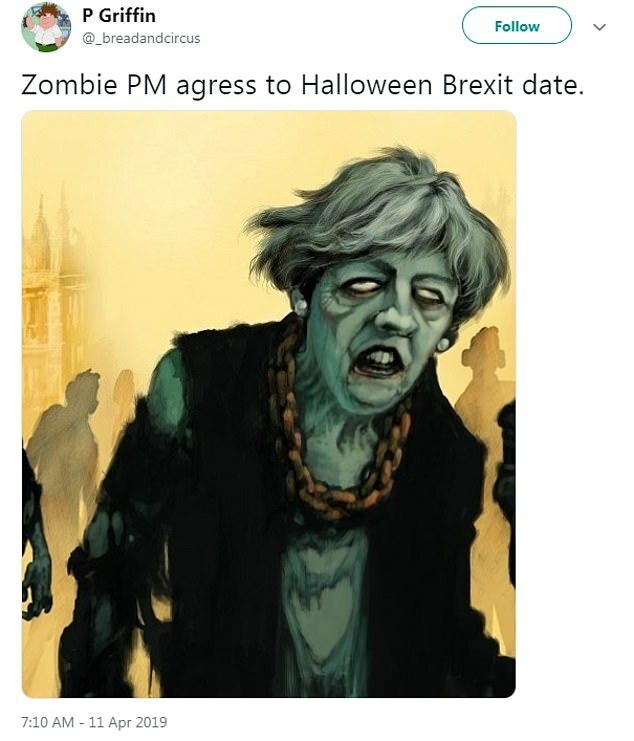 With the UK heading for a Halloween Brexit, references to the political nightmare that has engulfed the country in recent months were all too easy to make today. 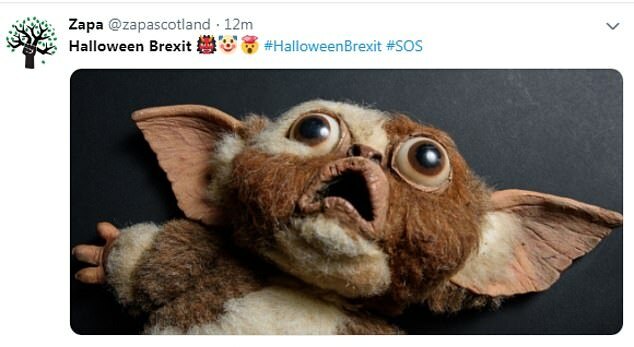 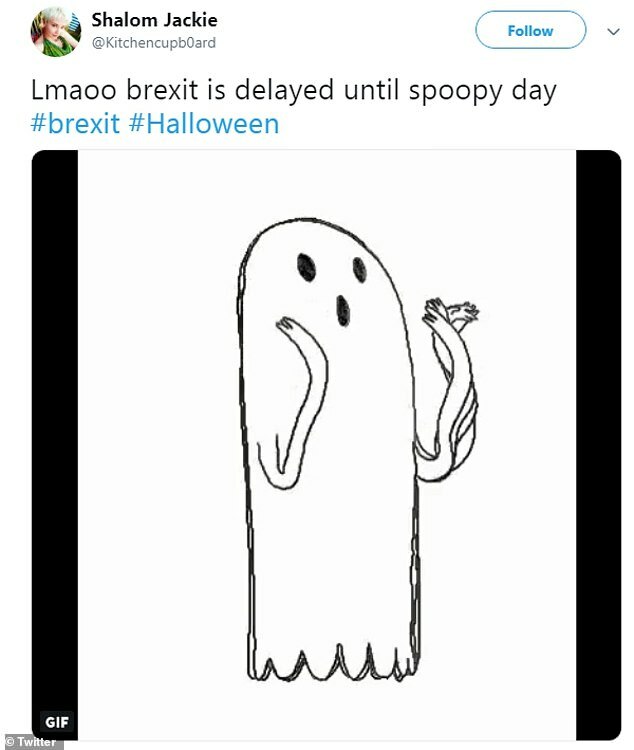 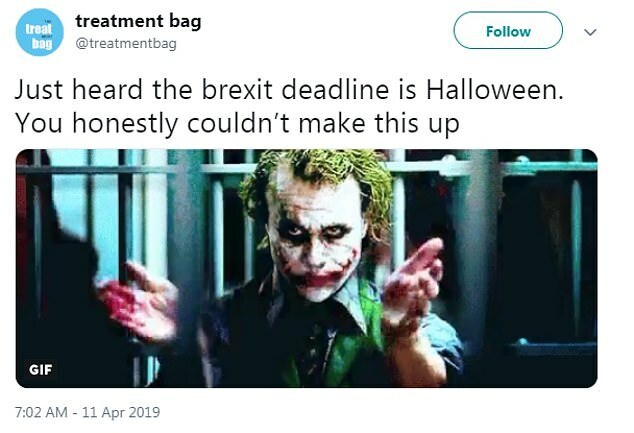 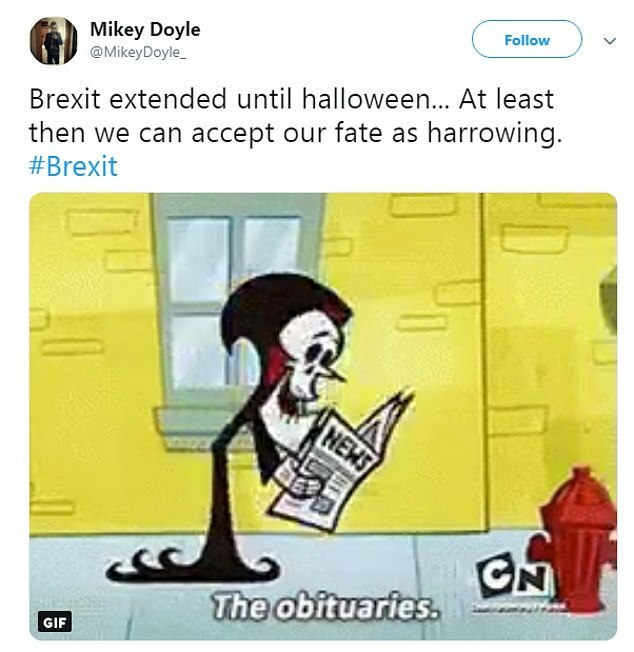 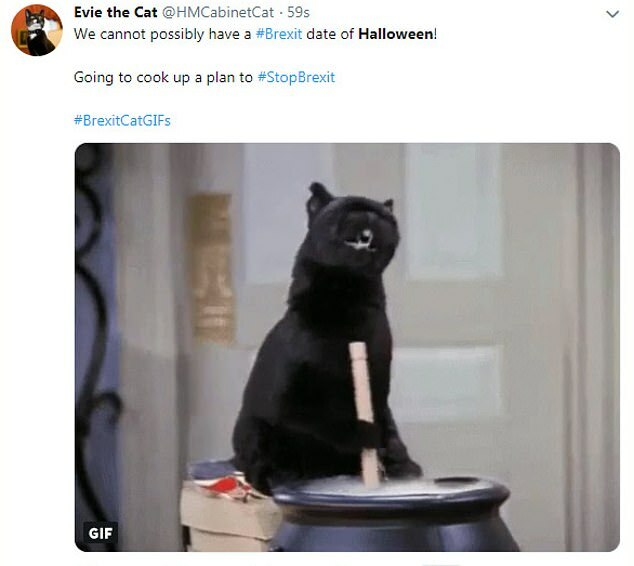 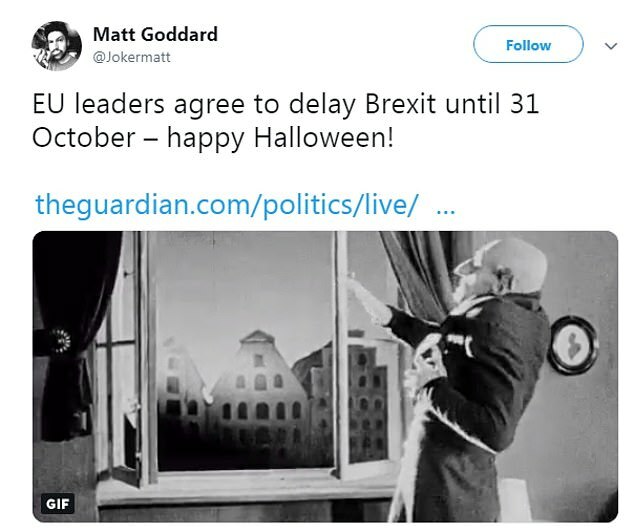 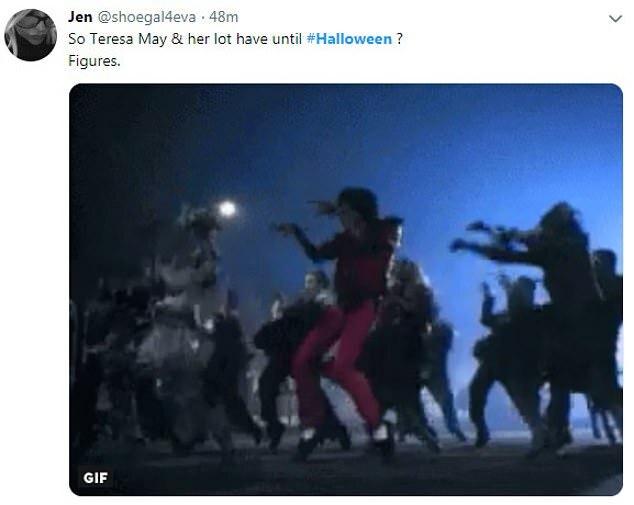 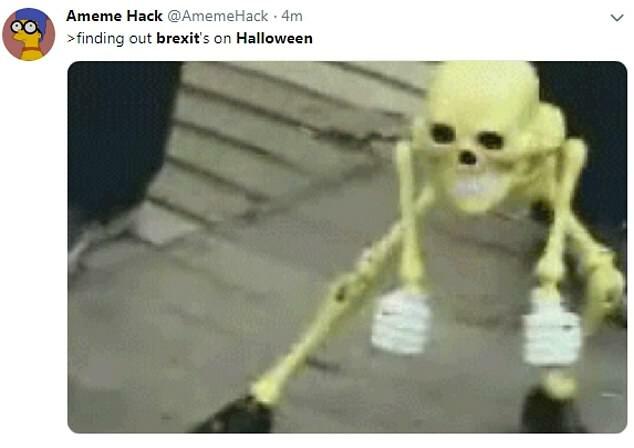 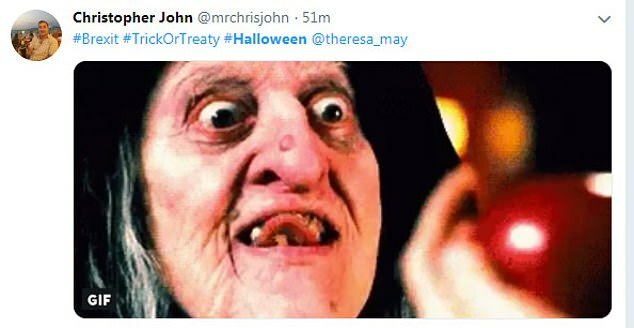 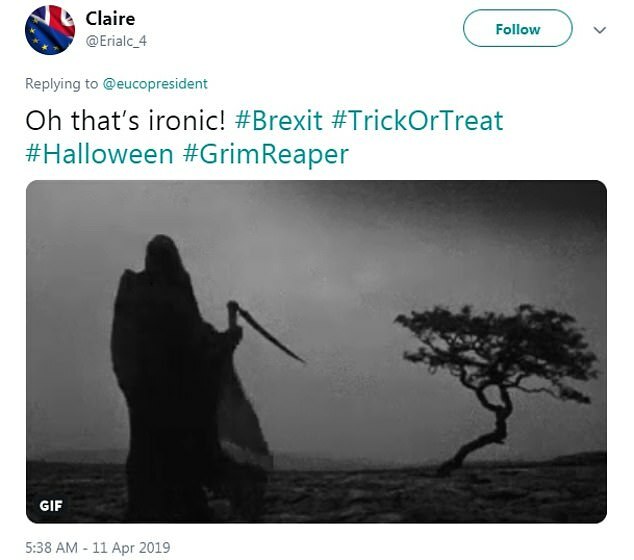 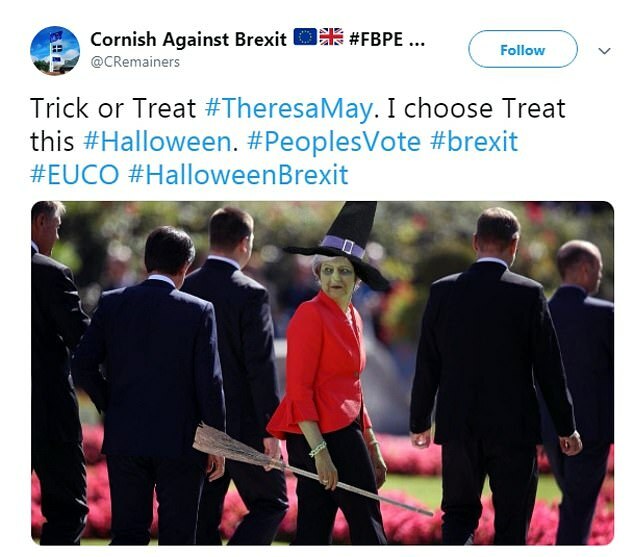 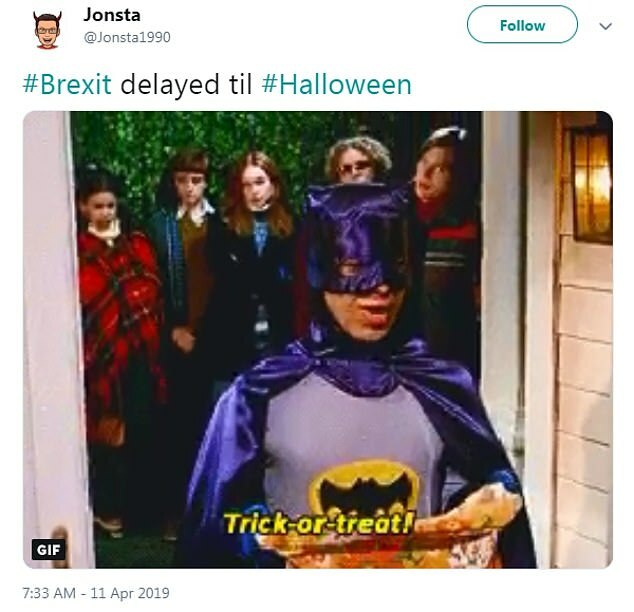 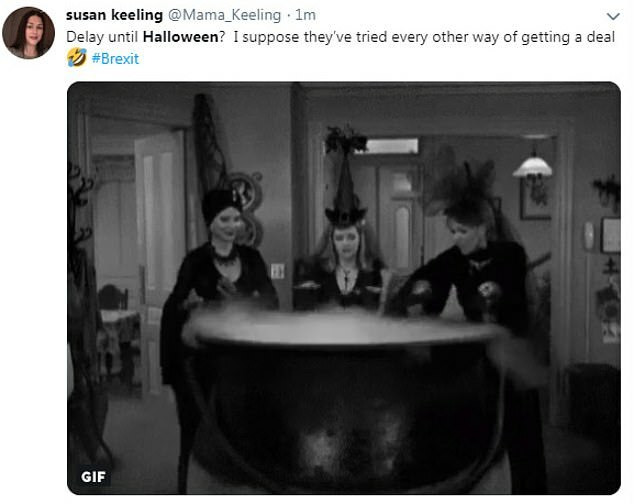 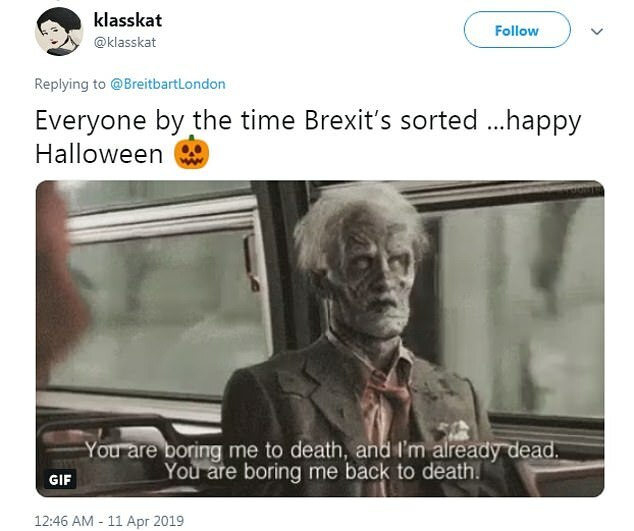 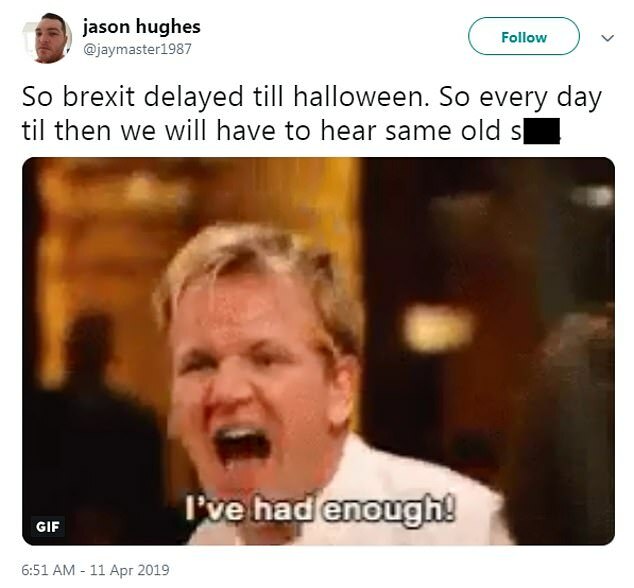 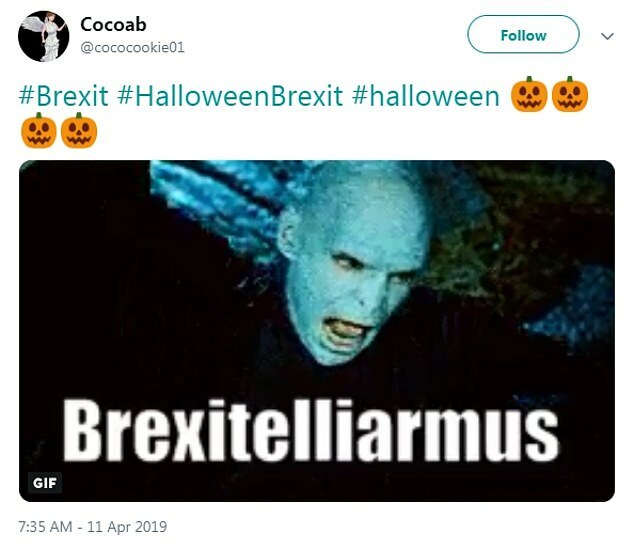 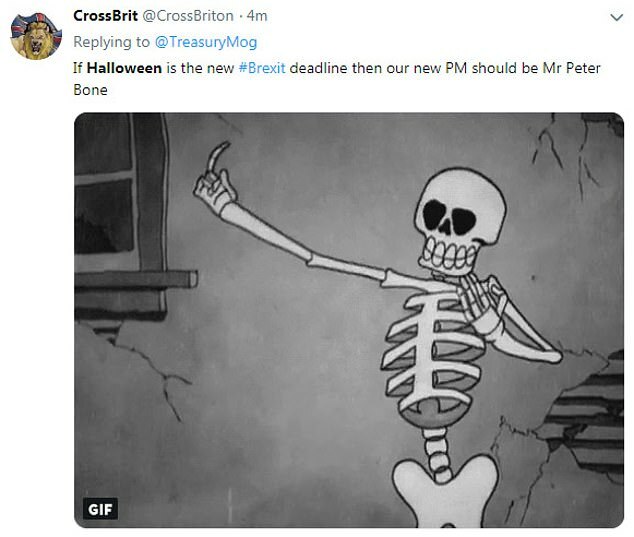 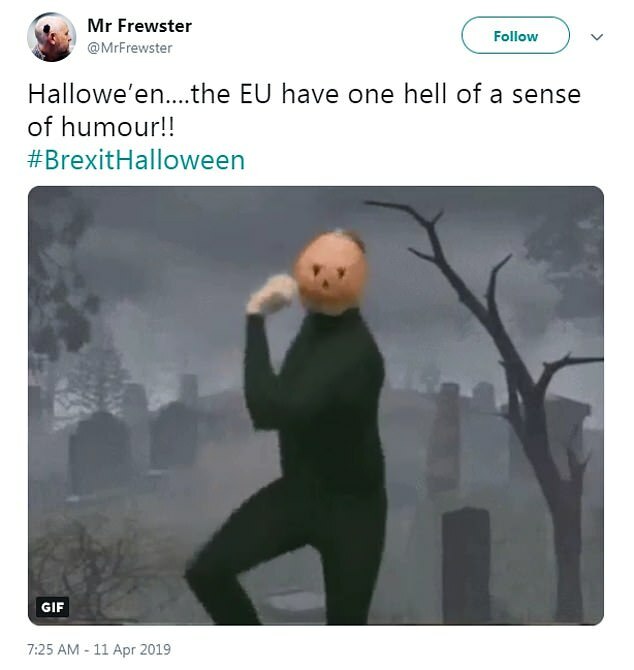 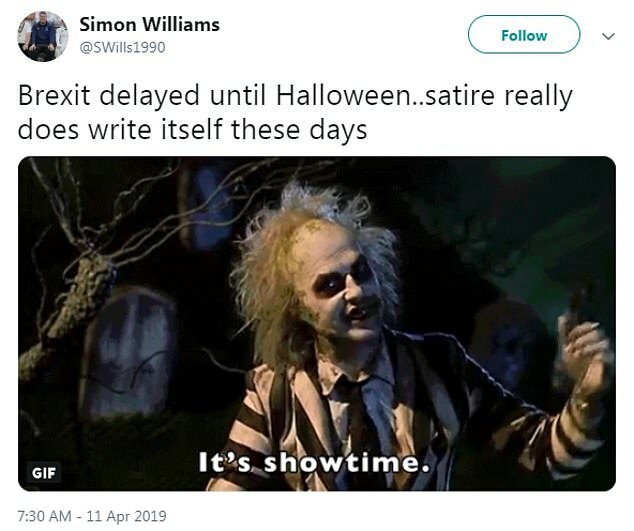 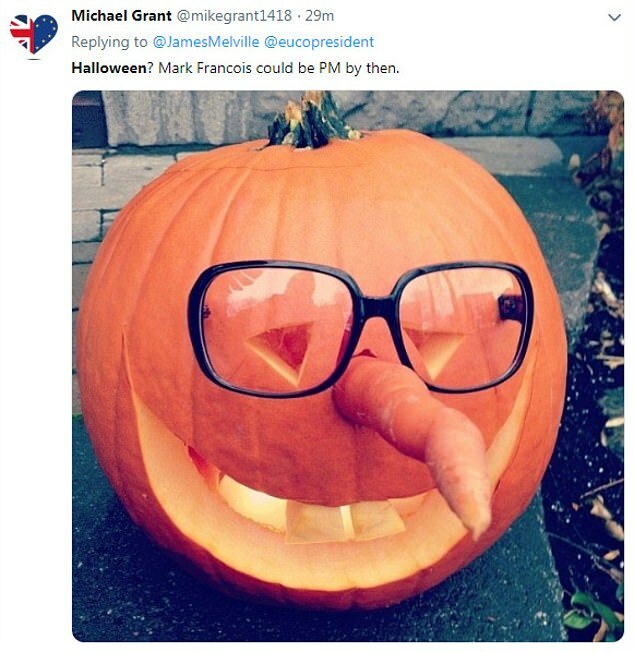 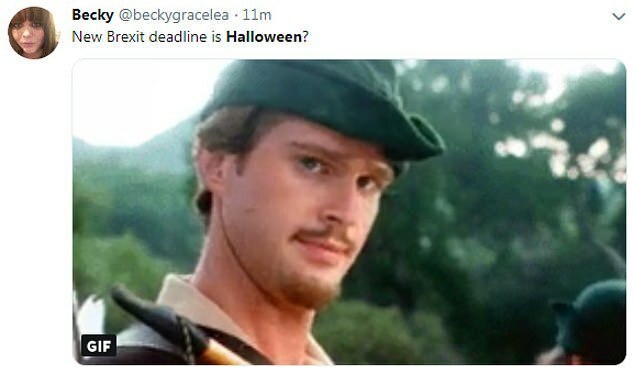 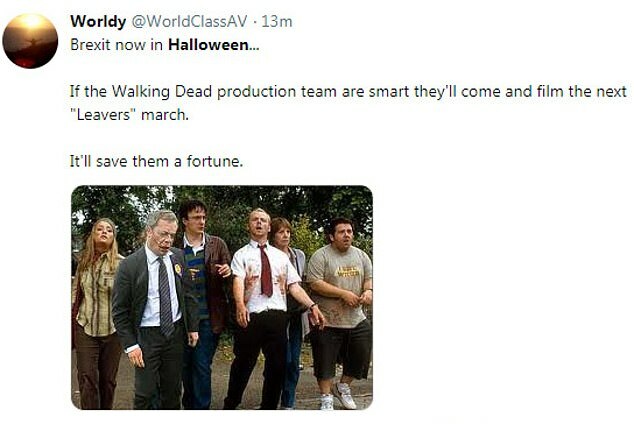 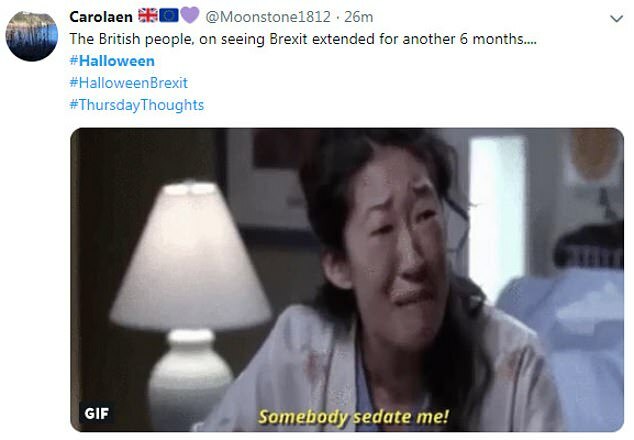 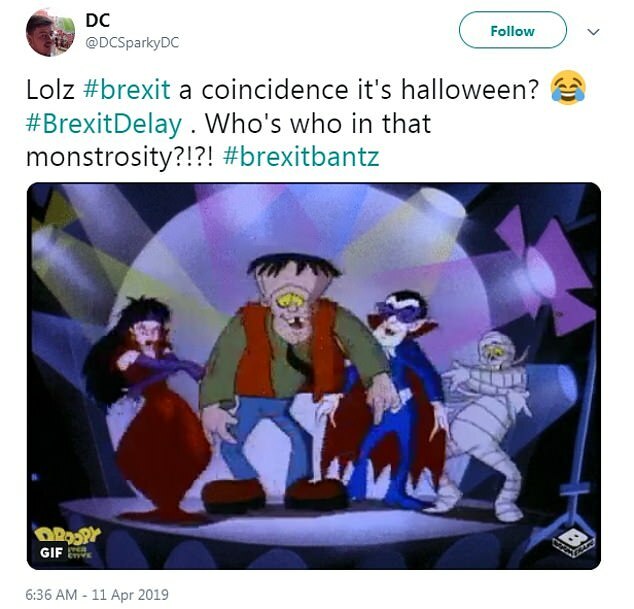 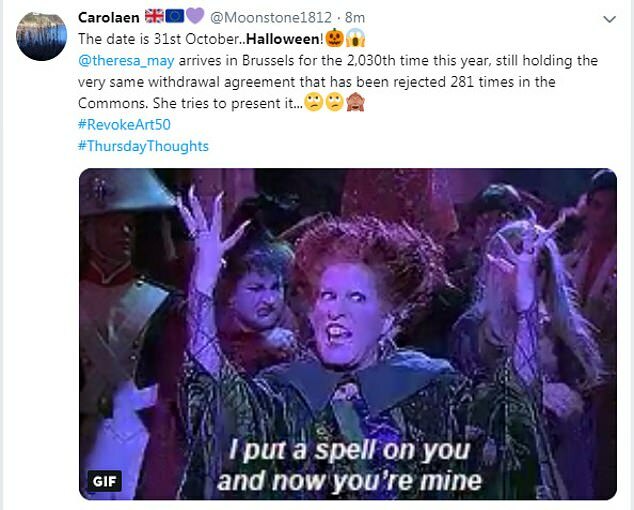 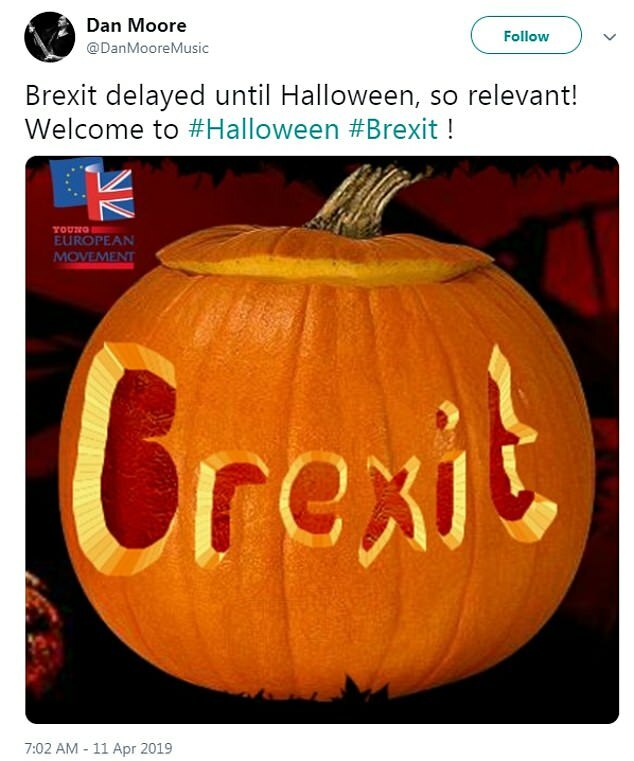 And Britons have made the most of news of the October 31 date given by the remaining 27 EU nations by posting a series of tongue-in-cheek memes on Twitter. 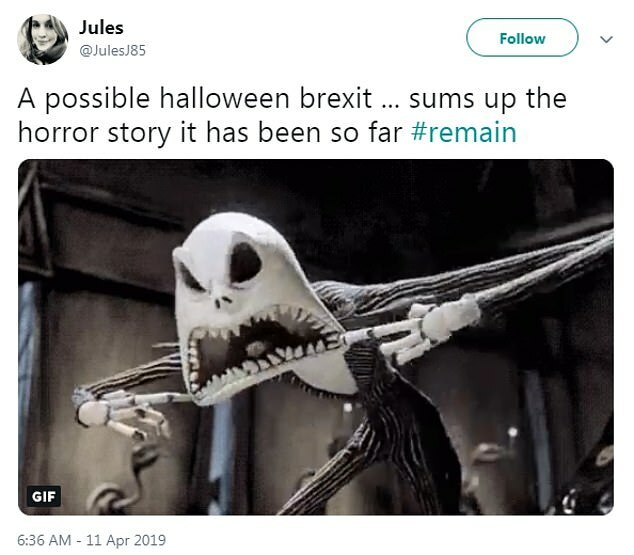 Other Twitter users said it 'sums up the horror story it has been so far', the day was 'so relevant' and pointed out that the EU has 'one hell of a sense of humour'. 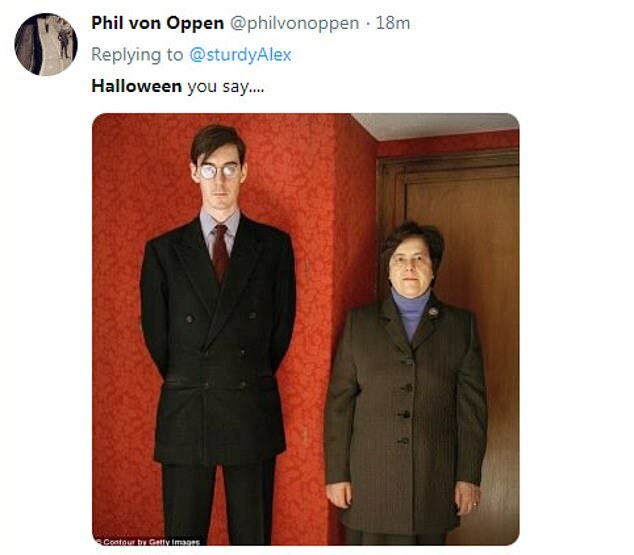 Some speculated on what their Halloween costume choices might be. 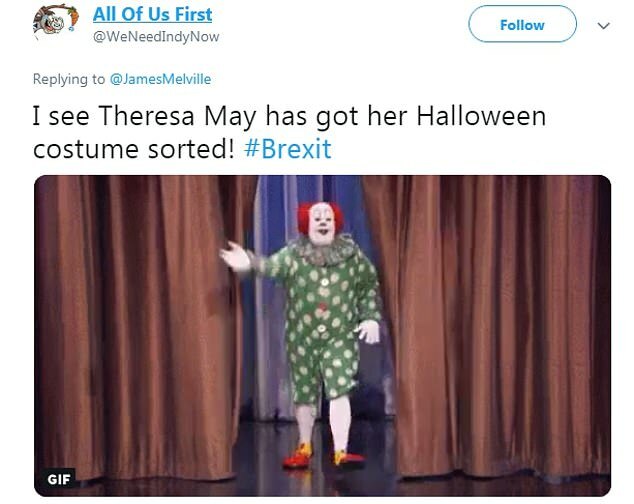 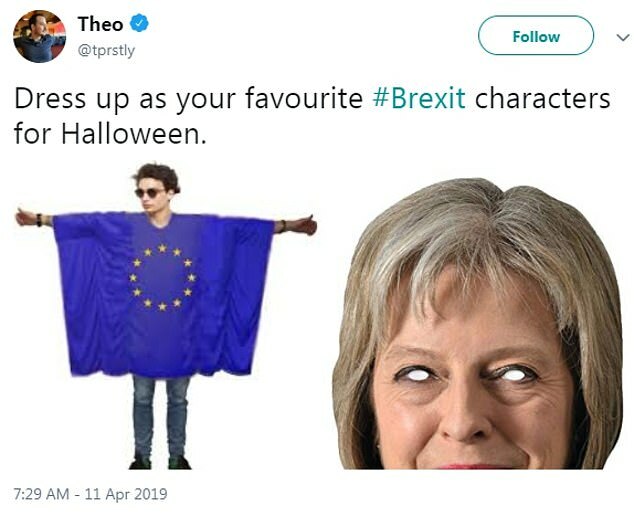 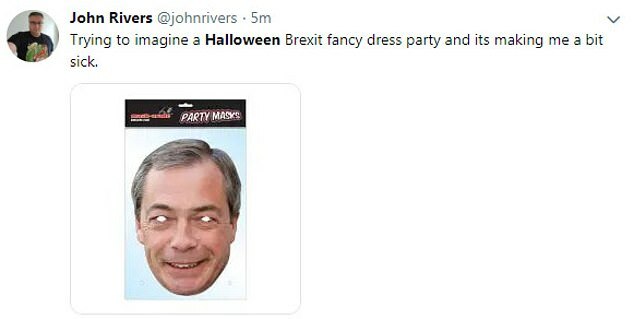 One user, @TechnicallyRon said: 'Can't wait to dress as Brexit for Halloween this year. 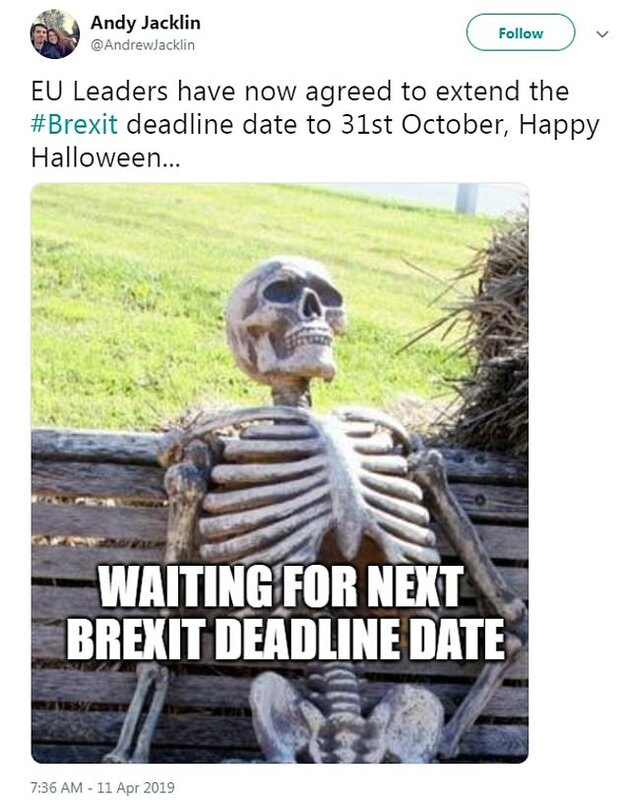 The second extension to the Brexit process - initially intended to conclude on March 29 - definitively stopped the clock on a No Deal withdrawal this Friday. 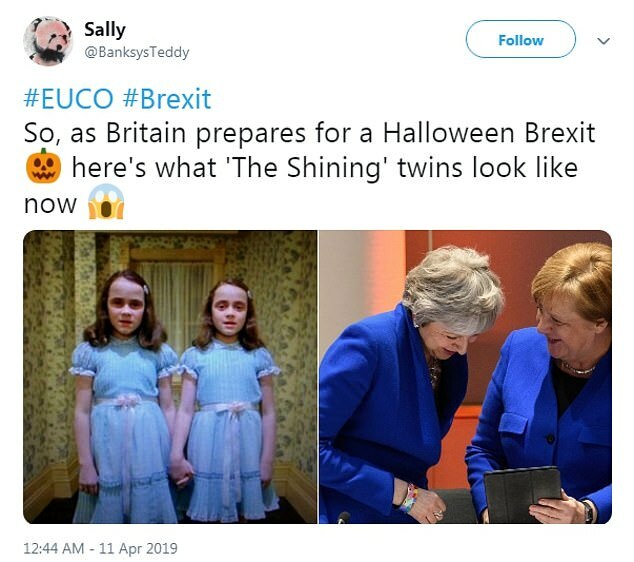 It gives Theresa May a further six months to ratify or rethink her withdrawal deal, but European Council president Donald Tusk did not rule out further extensions.